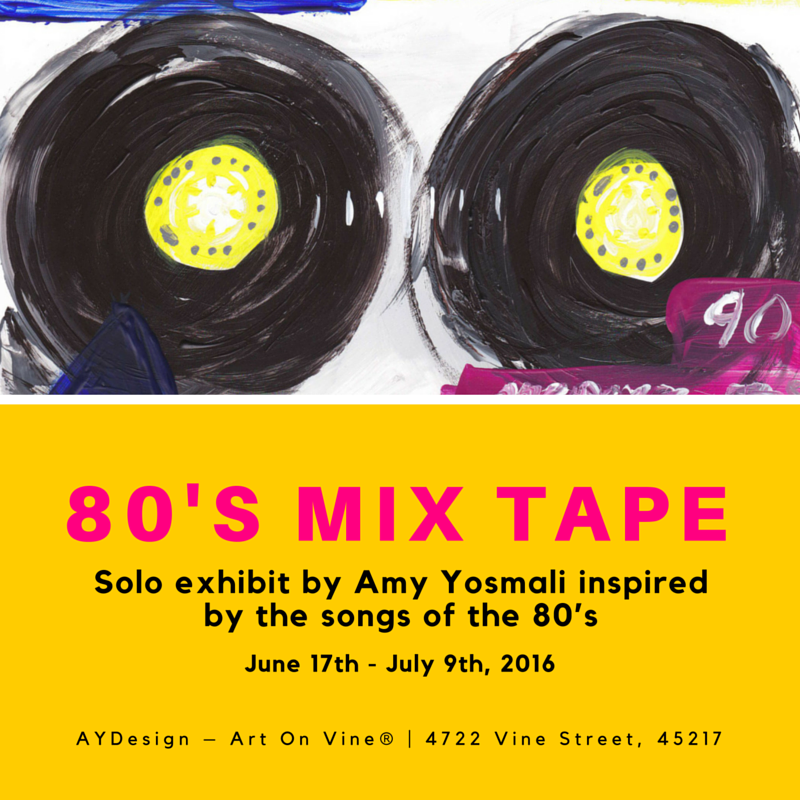 Cincinnati, OH – AYDesign – Art On Vine® is pleased to present a solo exhibition of new works featuring local artist Amy Yosmali. 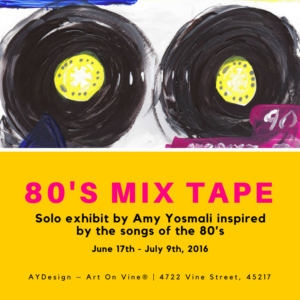 The exhibit “80’s Mix Tape” will run from: June 17th – July 9th, 2016 with an opening reception, June 17th , 2016 from Noon-6:00 p.m.
Take an excellent adventure back to the most awesome time, the 80’s! 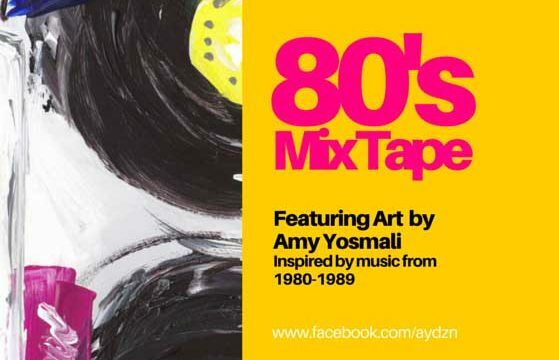 Join us for this solo exhibit featuring the creative works by artist Amy Yosmali, inspired by popular songs from 1980 through 1989. Much like a musician reacts to her surroundings and the moment, resulting in certain musical elements standing out and connecting with the audience – Amy’s paintings react to the nuances of their surrounding environments, inviting the viewer to connect with an ever changing perspective to the complexity of this expression. As a contemporary abstract artist, Amy express herself emotionally through imagery resulting in the instrumentation of colors, brushstrokes and movement on Yupo paper and canvas. Vibrant acrylic colors are important features of my art as are acrylics with metallic or iridescent qualities to add depth, dimension and movement.